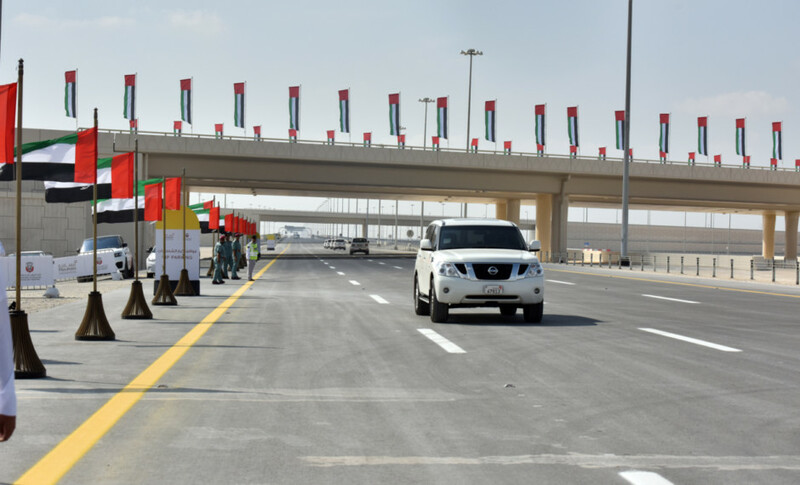 Abu Dhabi: Motorists travelling between Abu Dhabi and Dubai can now use a new stretch of highway, the Shaikh Mohammad Bin Rashid Al Maktoum Road, which was opened to vehicular traffic on Tuesday. 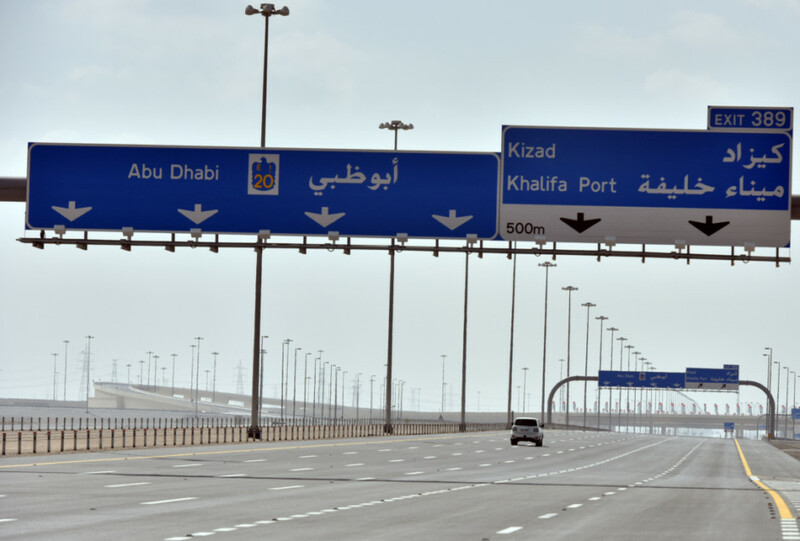 The new 62-kilometre road, which connects to the Shaikh Mohammad Bin Zayed Road on route E311, is an alternative to the existing Abu Dhabi-Dubai highway, the Shaikh Maktoum Bin Rashid Road (E11). At the formal inauguration, officials from the Department of Municipal Affairs and Transport (DMAT) said the highway should ease congestion on E11, especially during peak hours. 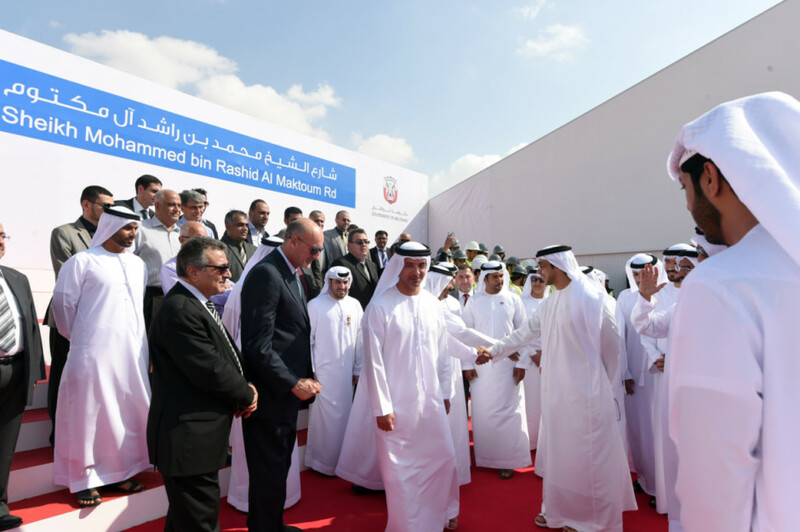 The inauguration was attended by Shaikh Hazza Bin Zayed Al Nahyan, Deputy Chairman of Abu Dhabi Executive Council; Shaikh Mansour Bin Zayed Al Nahyan, Deputy Prime Minister and Minister of Presidential Affairs; and a host of other government officials. The new Shaikh Mohammad Bin Rashid road comprises four lanes in each direction with a total of eight lanes. It was constructed at a cost of Dh2.1 billion by Musanada, a government-owned firm that provides construction, contracting and facilities management services to public entities. “The highway can carry a total of 8,000 vehicles per hour. It includes six interchanges and six underpasses to ease the flow of traffic. And while there are no petrol stations along the stretch yet, two stations, one for either side of the road, are being constructed. They should be open by the third quarter of 2017,” said Shamsa Al Shamsi, project manager at Musanada. The route begins from Sweihan Interchange on the Abu Dhabi-Sweihan Road and extends until the Abu Dhabi-Dubai border near Seih Shuaib. In the outbound direction from the capital, the highway passes by Al Maha Forest, the Forestry Green Belt, Kizad, Abu Mureikha and the Zayed Military Camp, continuing on to Mohammad Bin Zayed Road near Seih Shueib. It is lit with 2,000 lighting poles, and the hard shoulders of the road are three metres wide. There are six lay-bys designed to be used as patrol points for police, ambulance and other emergency providers. Emergency response vehicles will also be able to take U-turns at five points along the road. The highway also has the capacity for expansion that could add two additional lanes on either side of the road in the future. “We also hope to connect the highway from its current starting point in Al Falah area to the Abu Dhabi-Al Ain Road,” a DMAT official added. Why take the new highway? Motorists heading from Abu Dhabi to Dubai can access the new road via one of six points, including exit 358 B on to the Abu Dhabi-Sweihan Road, exit 363 near Al Falah area, exit 373 near Shahama and the Zayed Military Camp, road E16 near Al Ajban, exit 376 B near Kizad and exit 390 near Seih Sedira. Each of these exits also provides access to the surrounding localities. For motorists heading to the capital from Dubai, the highway will provide easy access to Yas Island, Saadiyat Island, the Abu Dhabi International Airport and suburban residential areas like Al Samha and Al Falah.